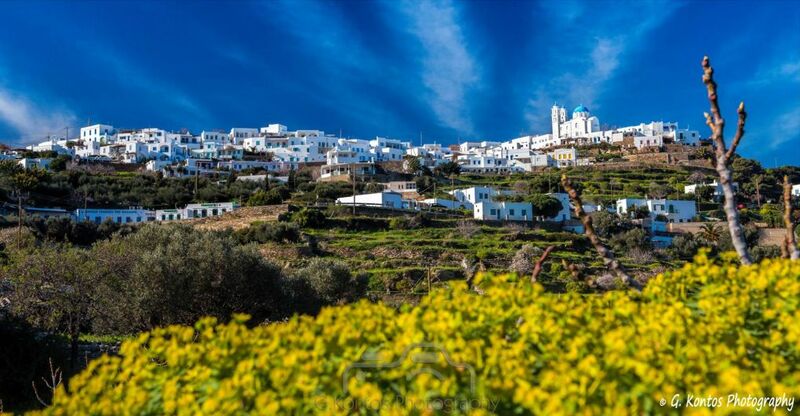 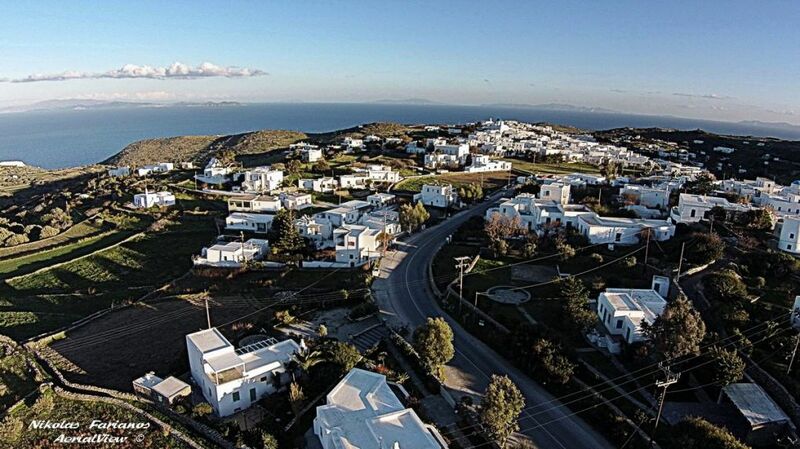 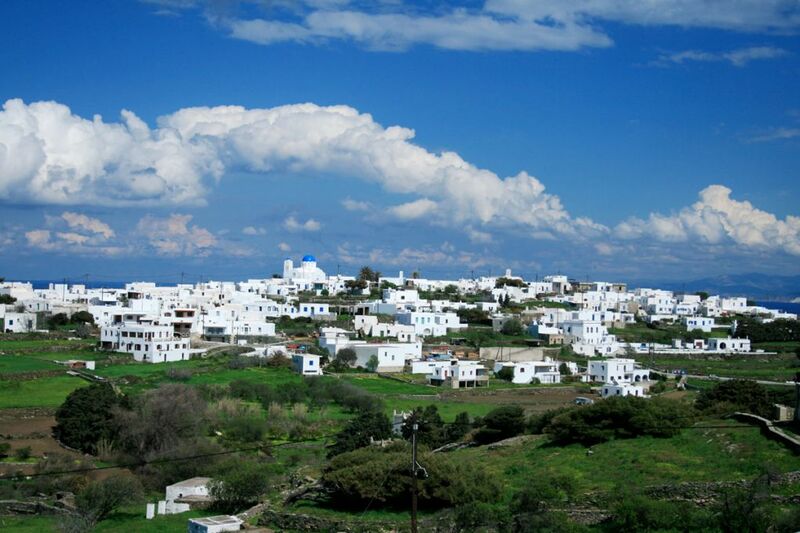 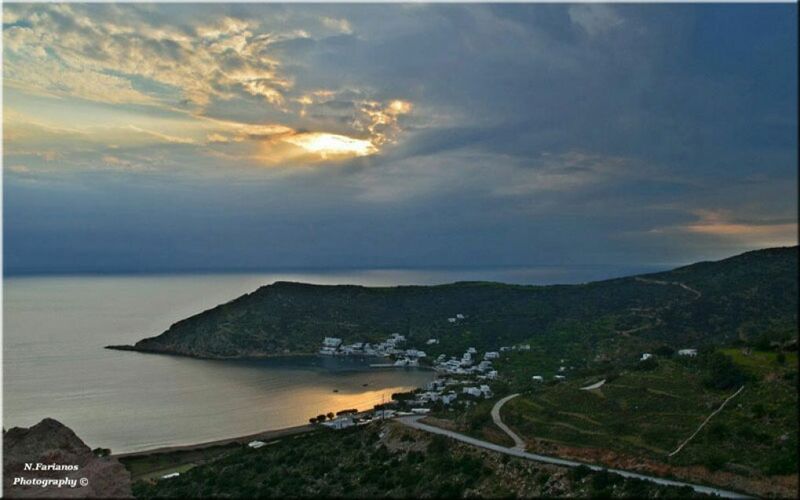 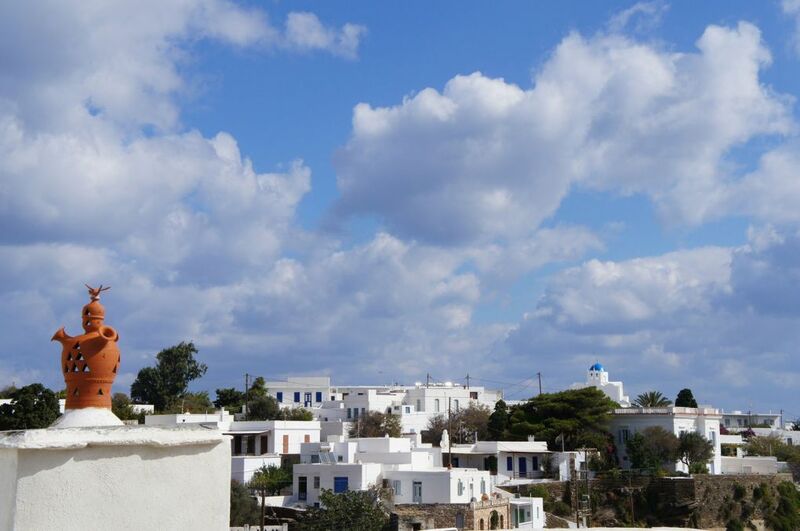 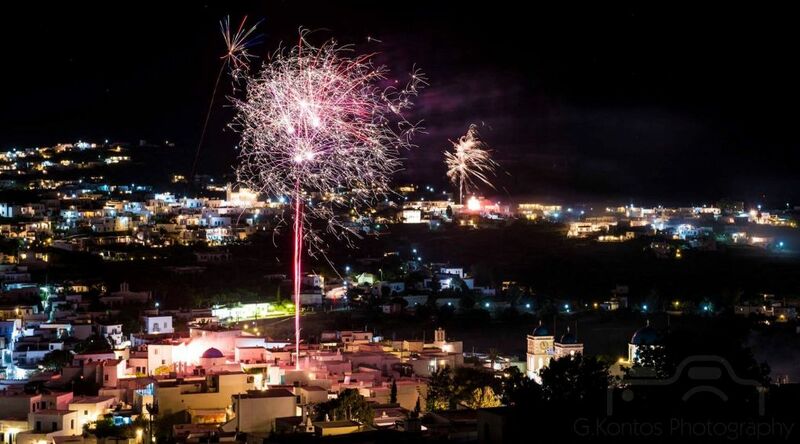 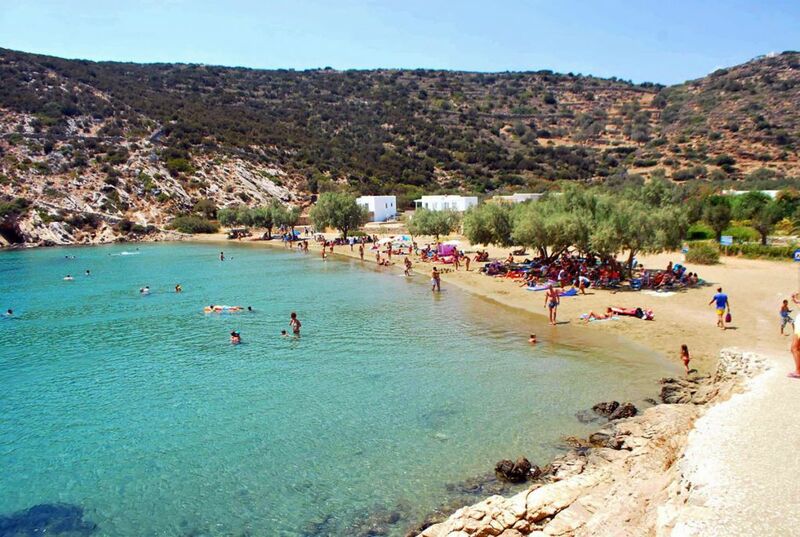 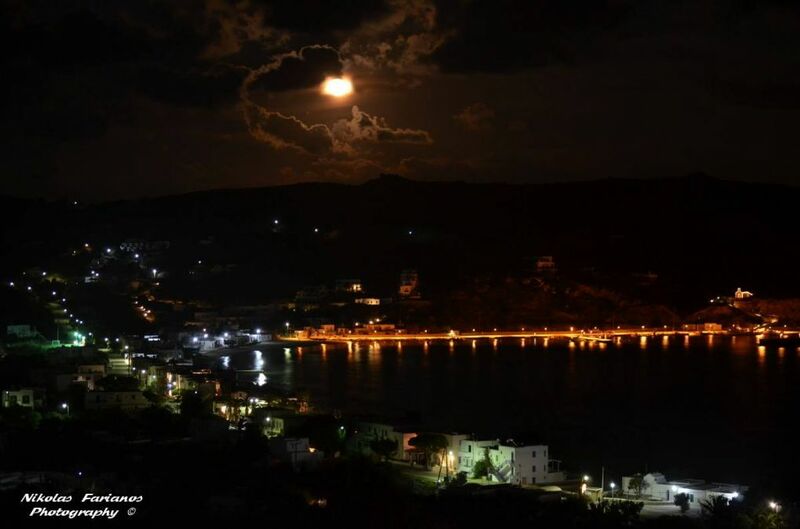 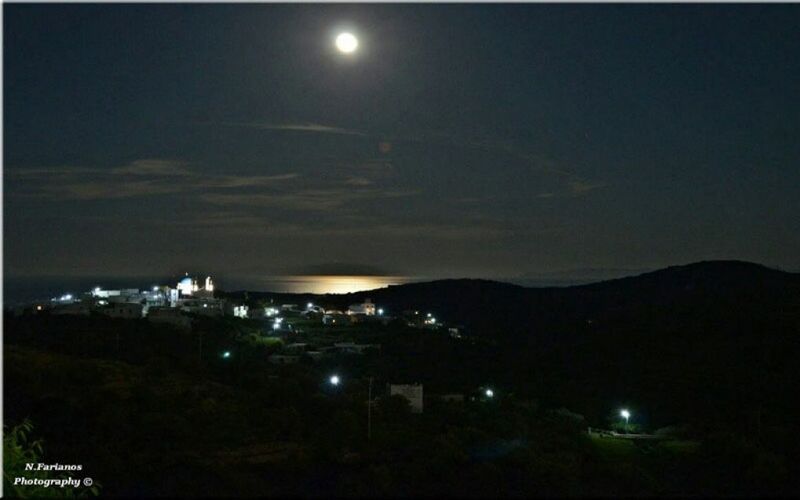 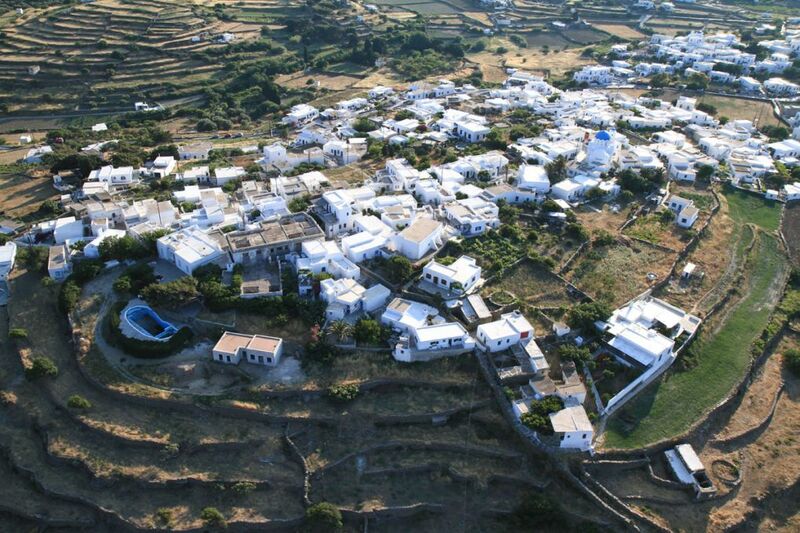 The traditional and unchangeable village of Exabela is situated one kilometer from Apollonia, on the road from Platis Gialos to Faros. 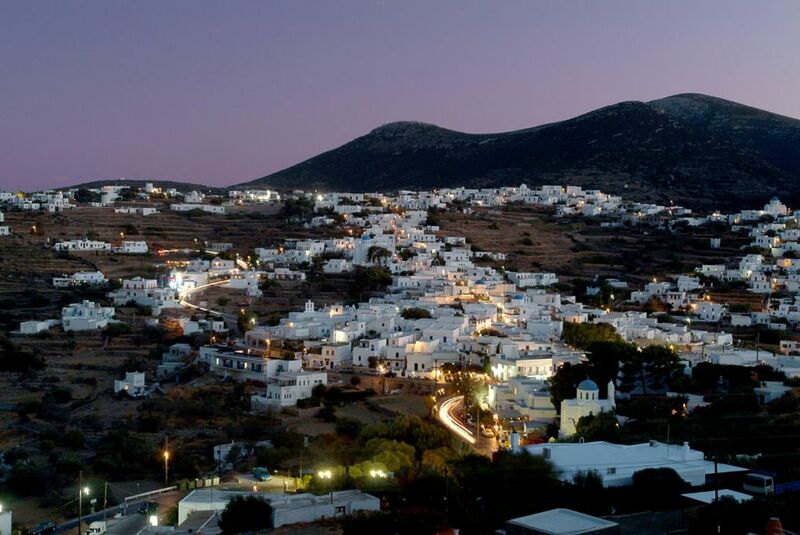 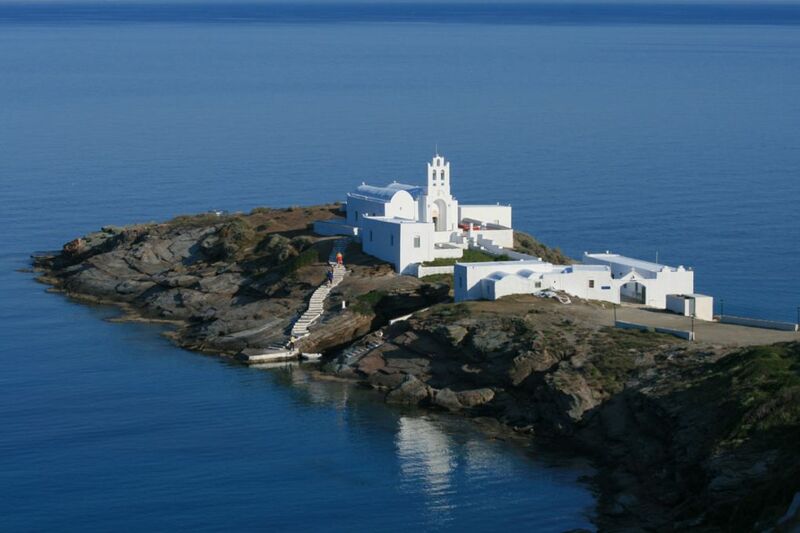 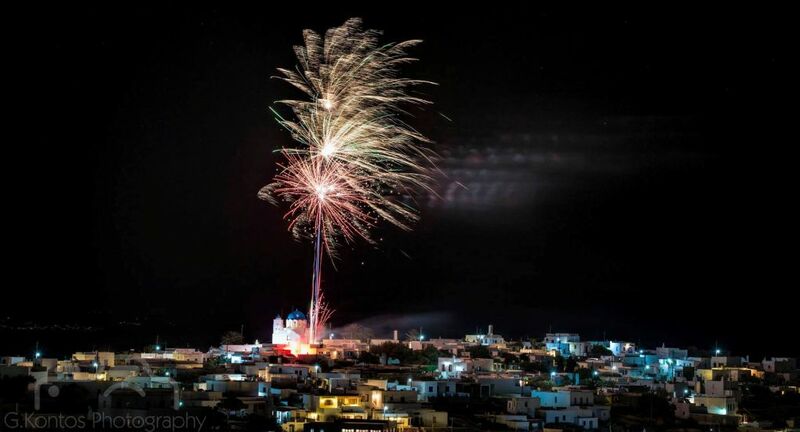 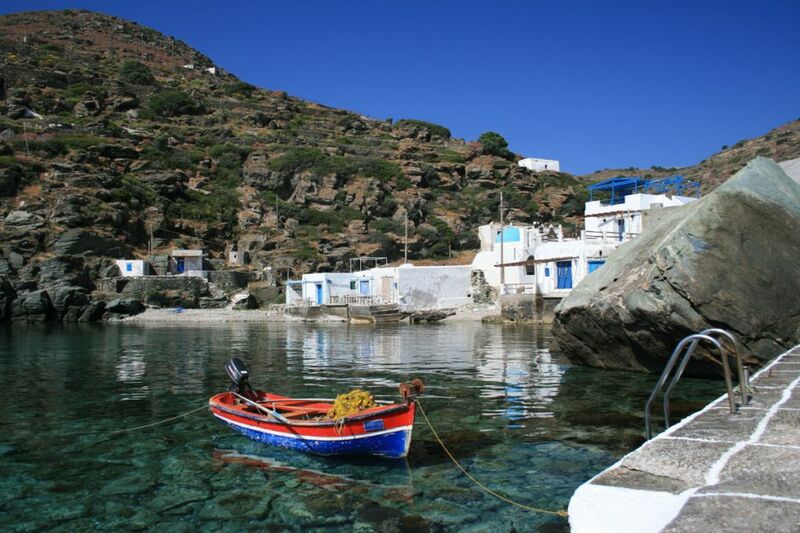 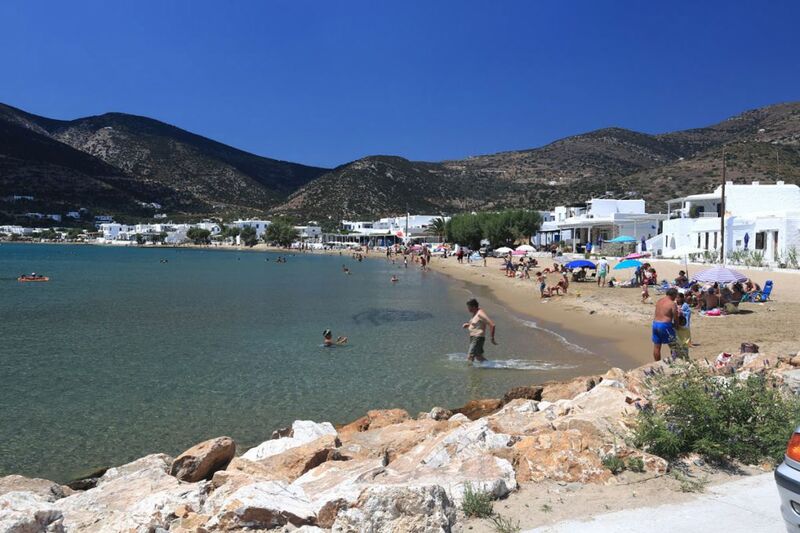 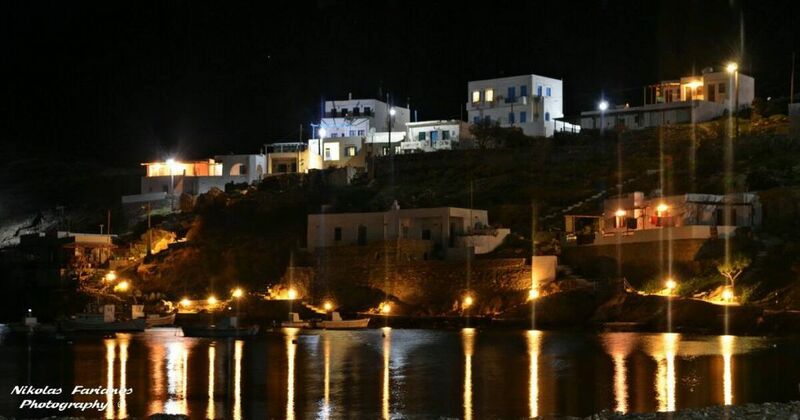 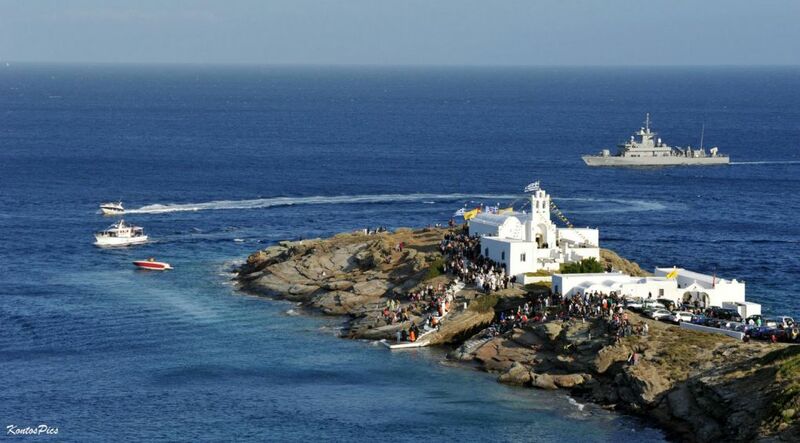 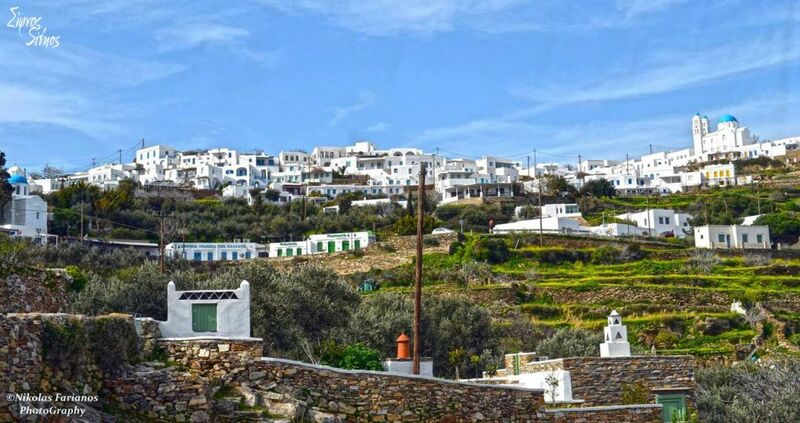 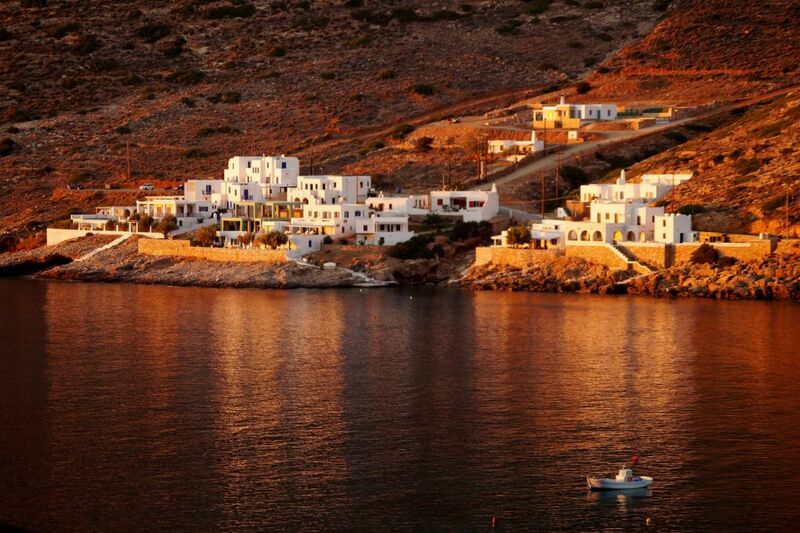 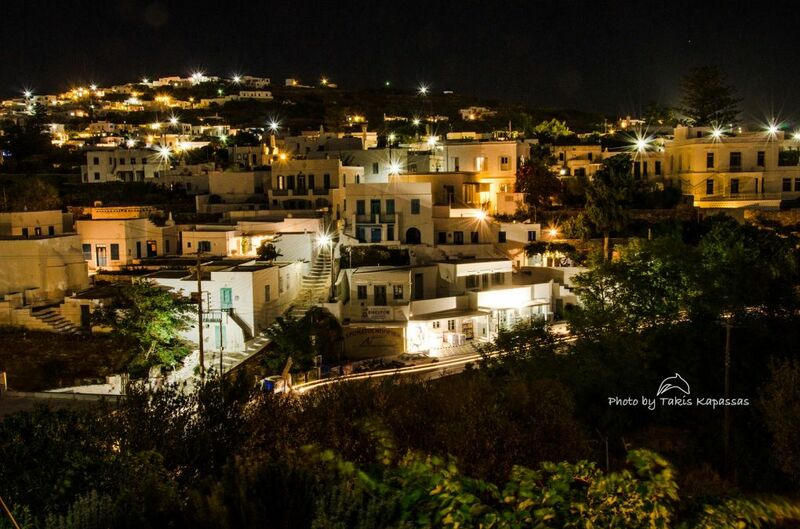 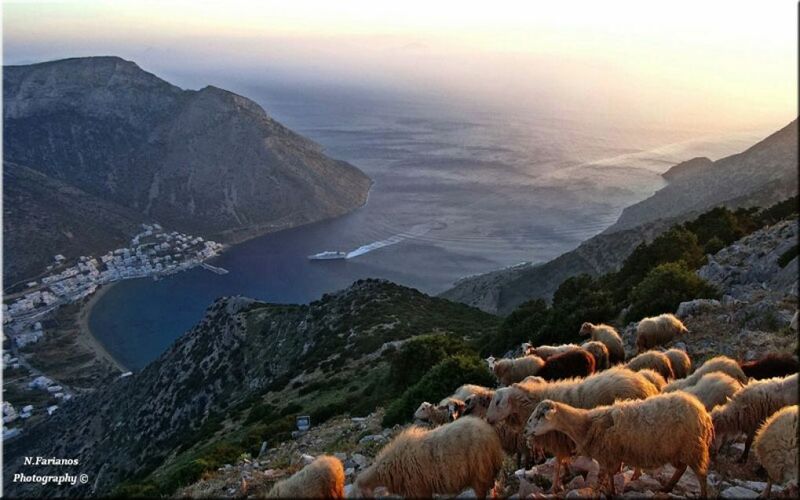 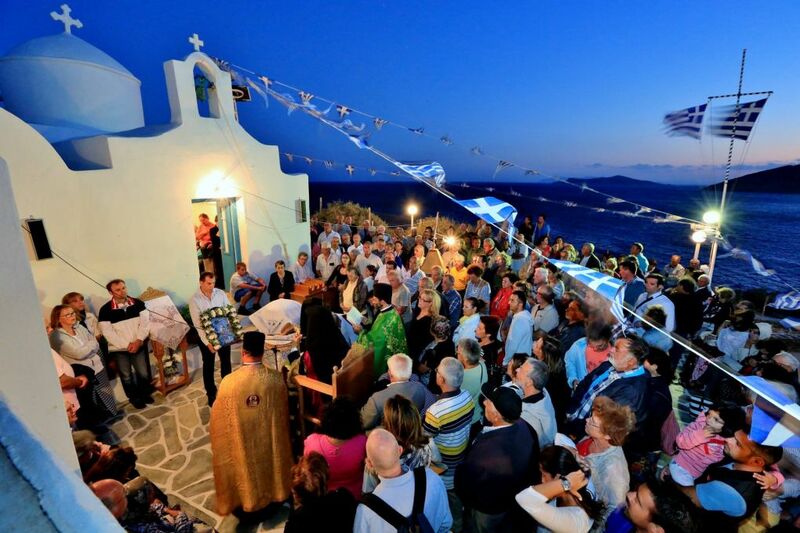 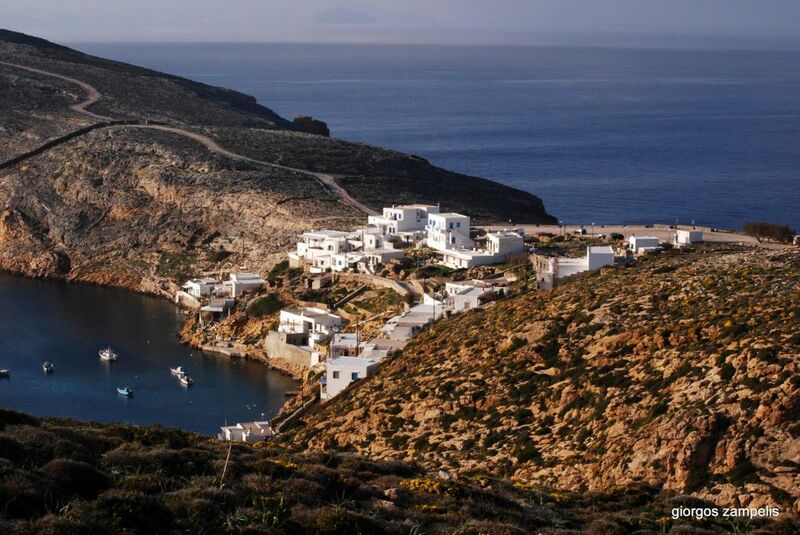 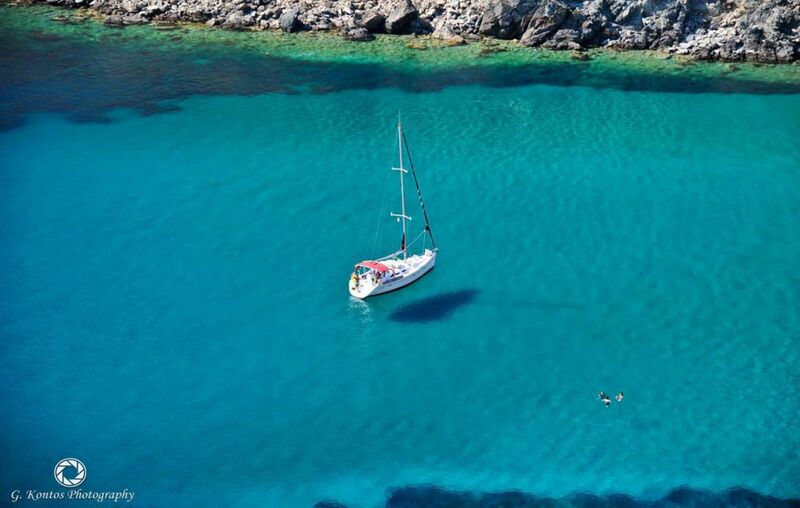 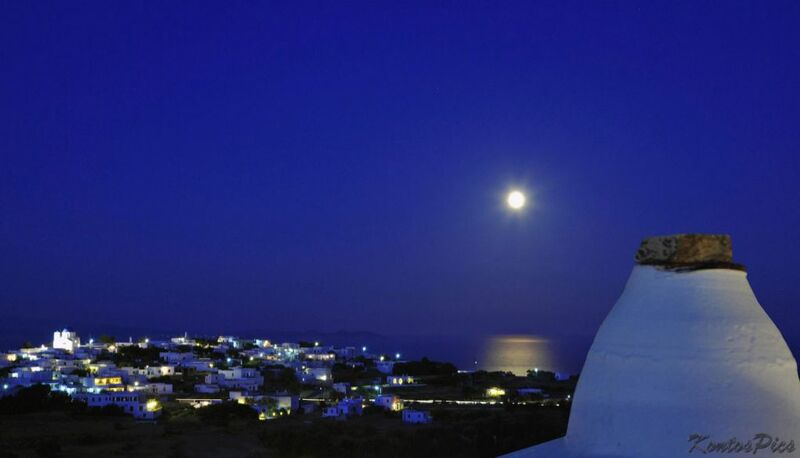 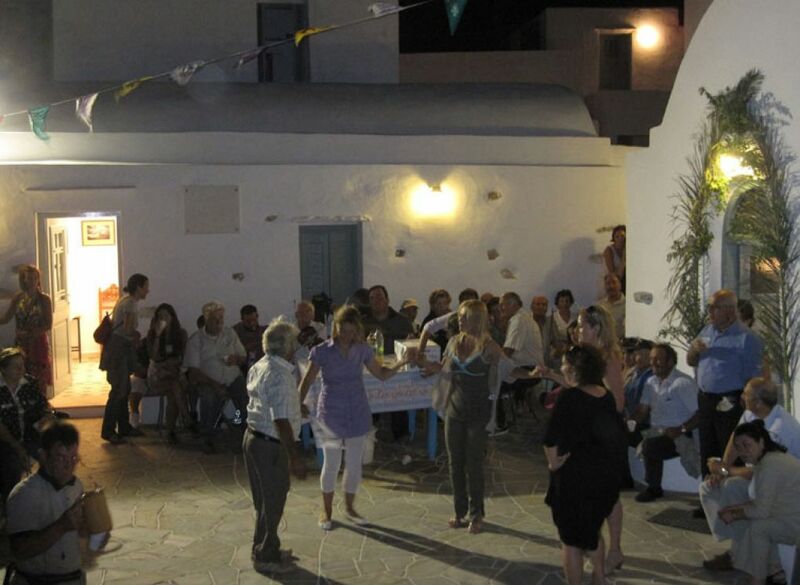 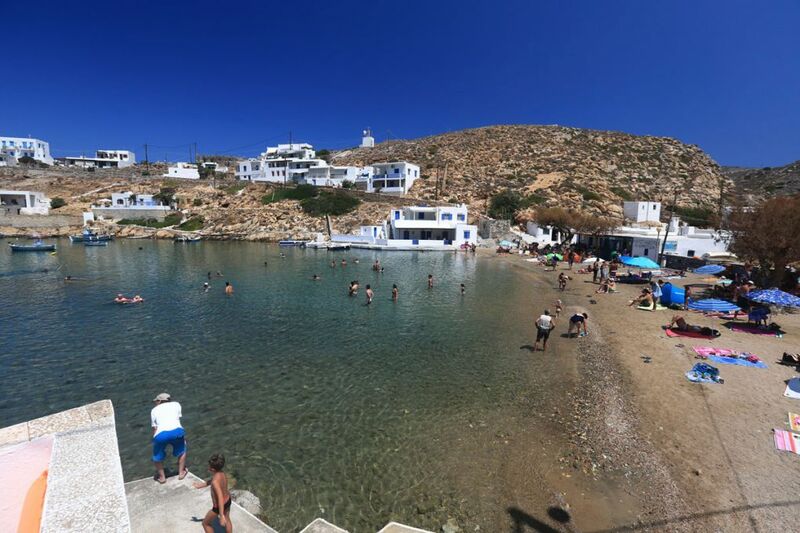 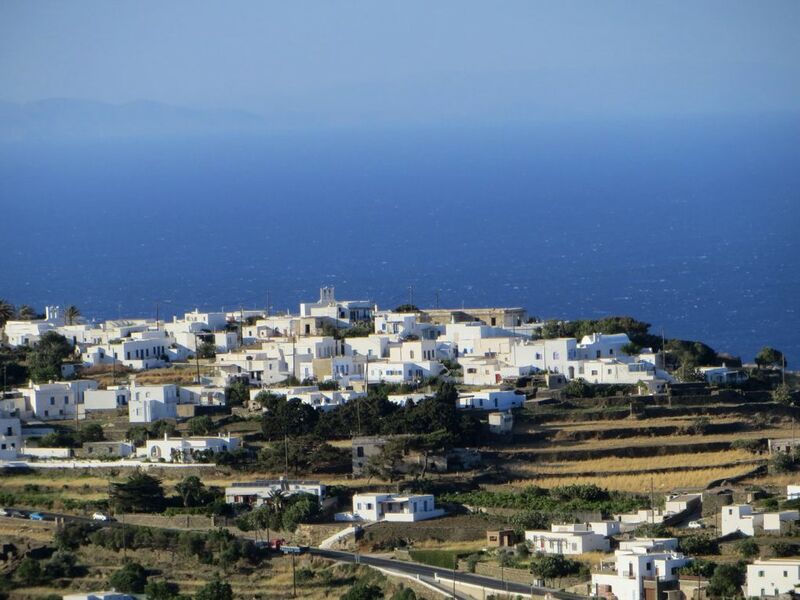 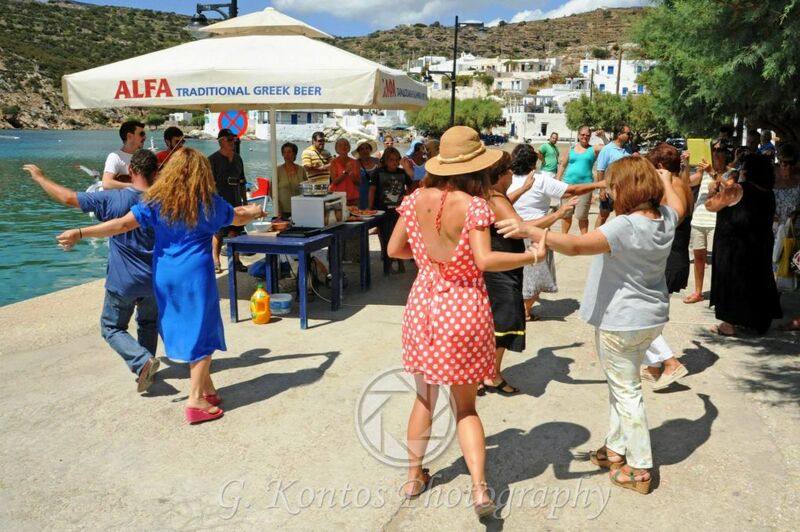 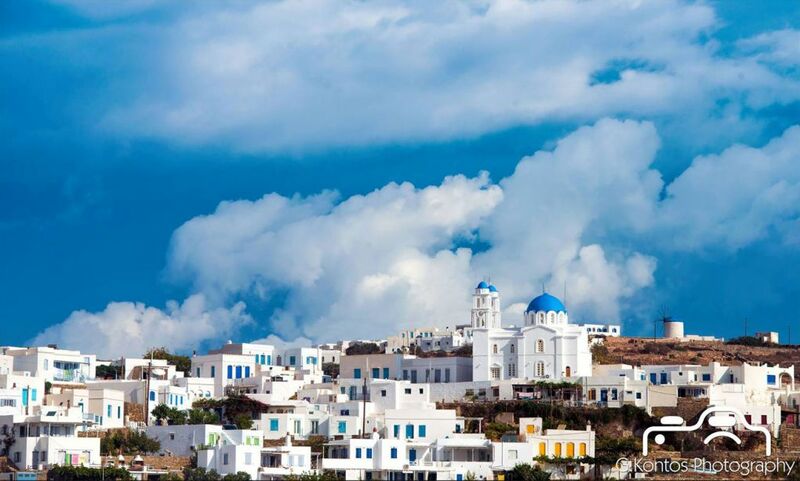 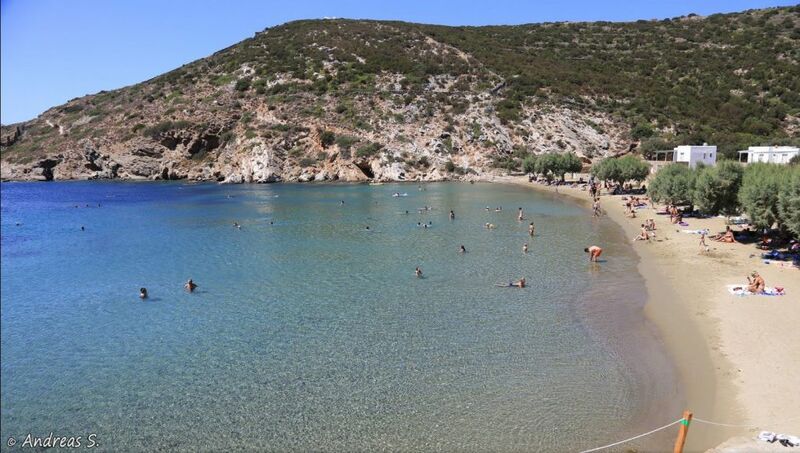 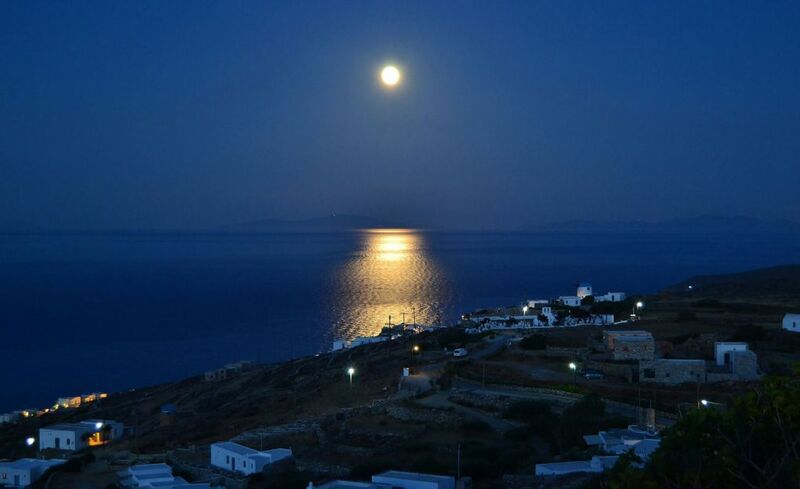 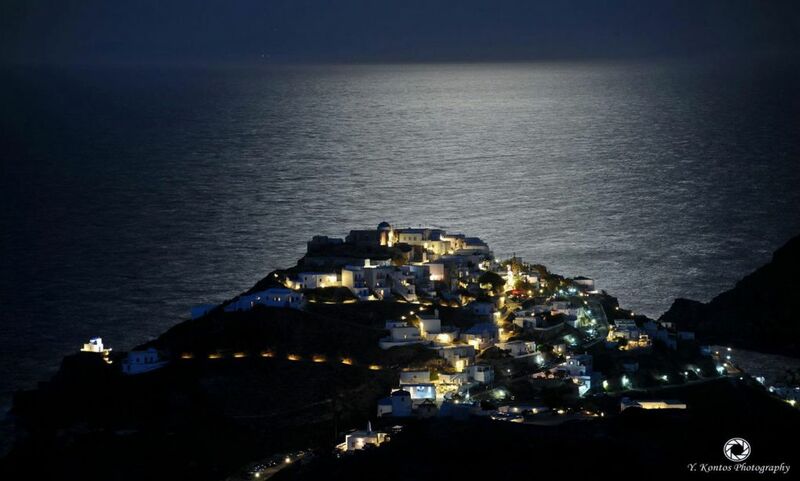 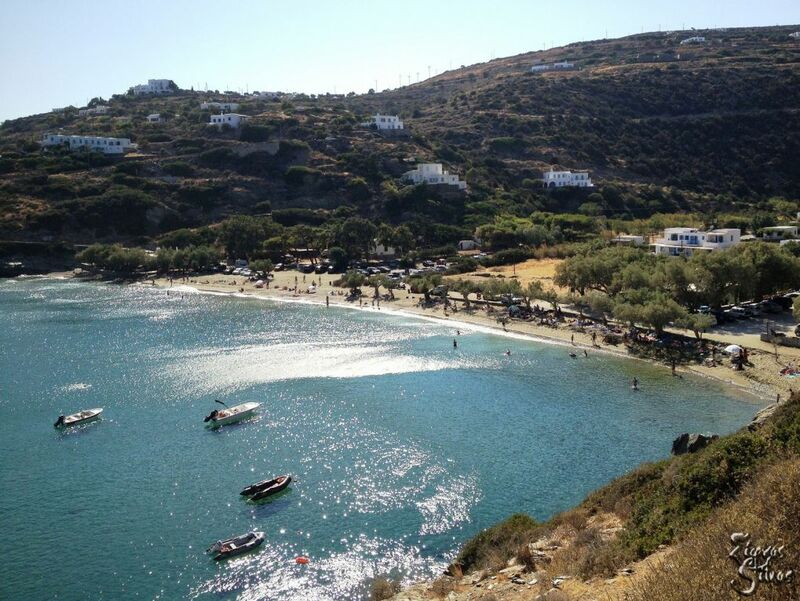 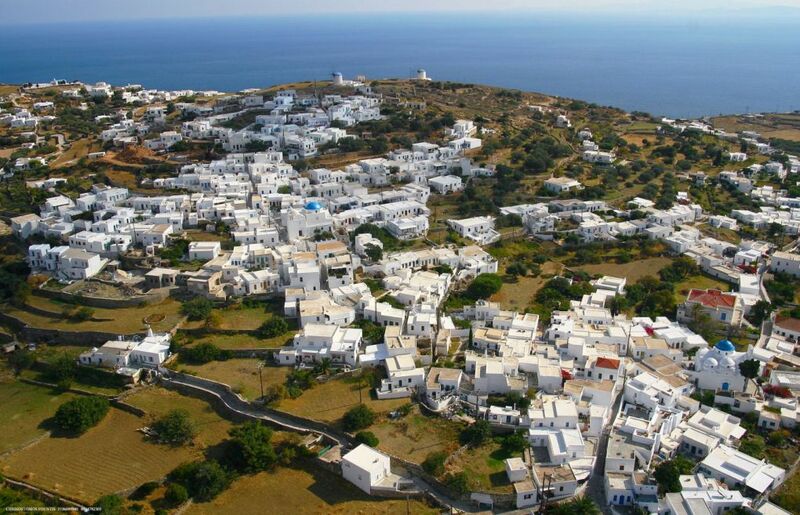 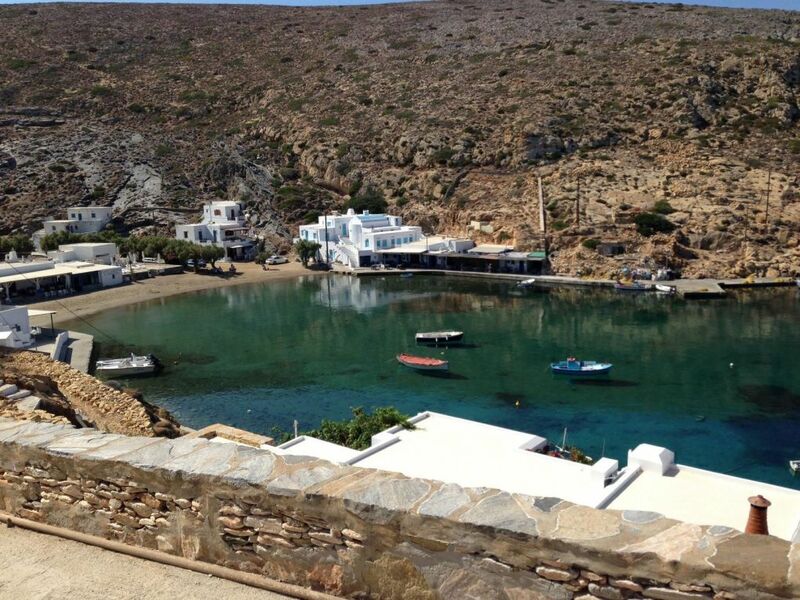 Exabela is one of the biggest villages of Sifnos. 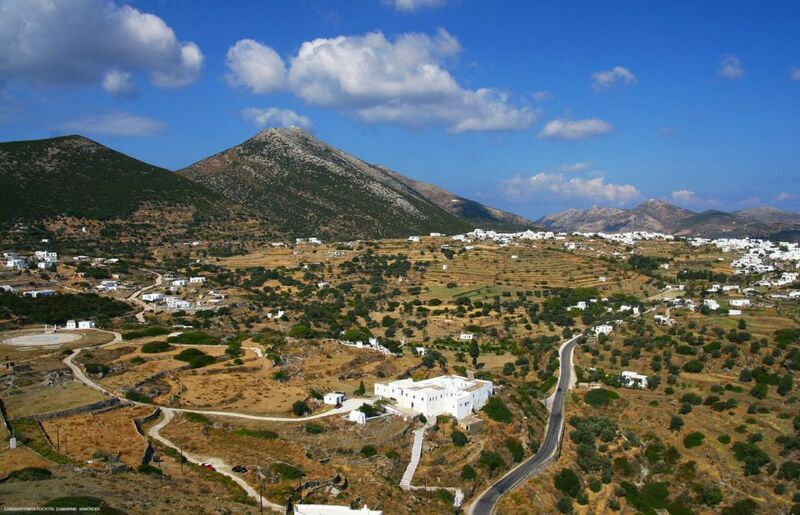 It extends from Arades (series of windmills) southwards, including the area of Agia Varvara with the homonymous church (Saint Barbara). 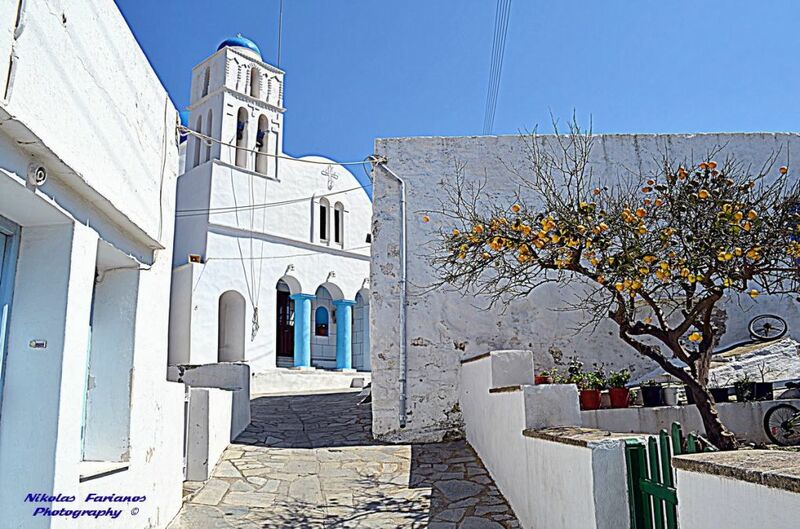 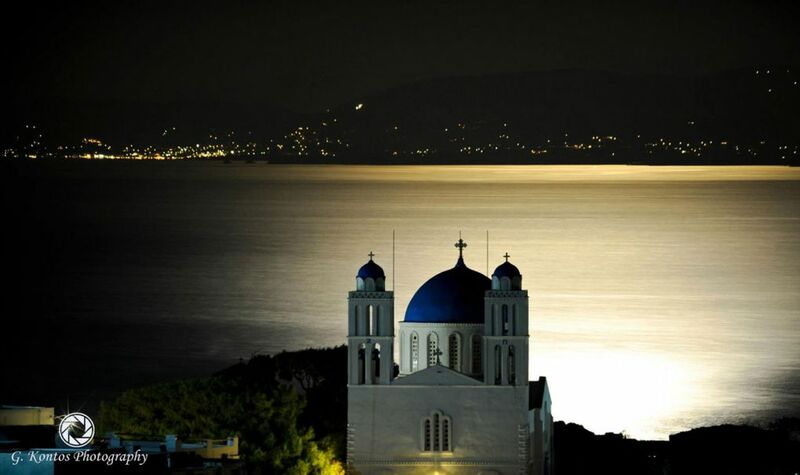 In Exabela you will find the churches of the Virgin Mary (Panagia), of Saint Athanasius (Agios Athanassios) and of Christ with beautiful stairs in their yards. 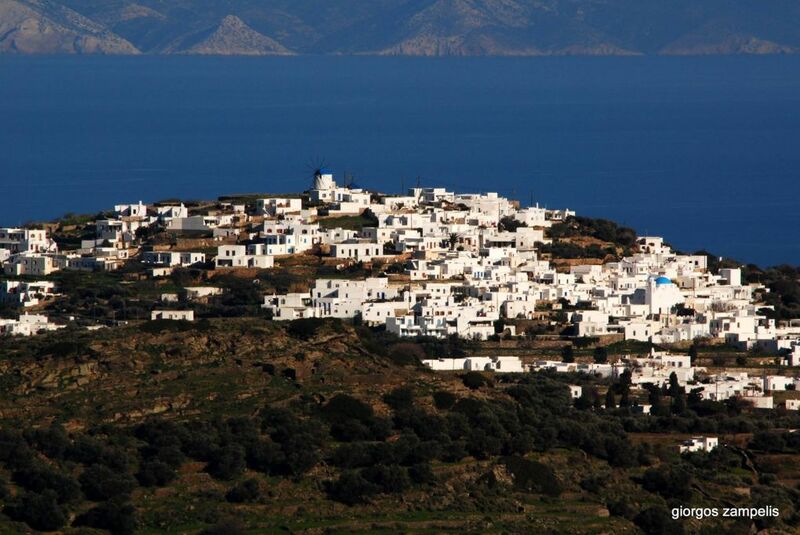 Exabela is the birthplace of the poet, translator, deputy, Academic, doctor of Philosophy and of History of Art, Arisomenes Provelegios, who was honored by the Academy of Athens with the Award of Excellence in Arts and Letters. 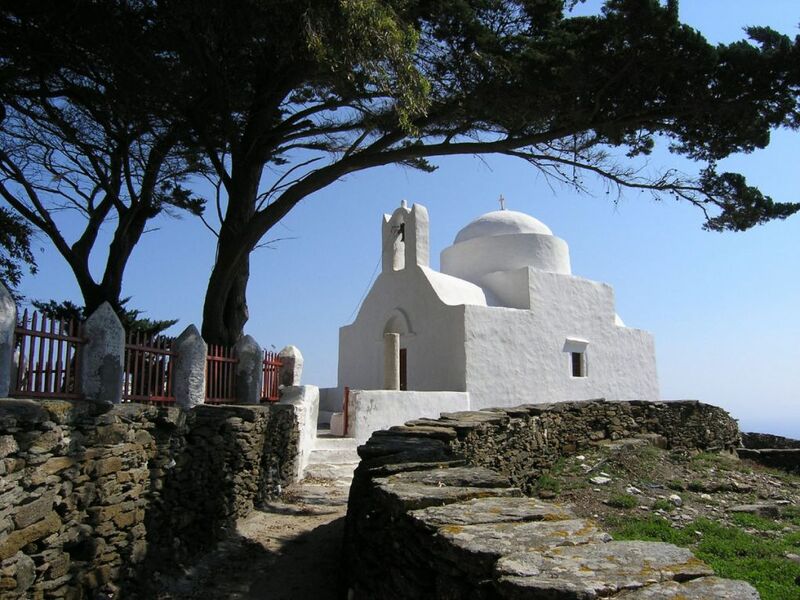 His residence is situated on the homonymous motorway of Exabela, his grave is situated in the picturesque country church of the “old” Saint Nicholas (to distinguish it from the parish church of the village, the posterior “Saint Nicholas”) in Vorini, in Exabela, and the poet’s bust – created by Giannoulis Chalepas – is situated in the yard of the high school – lycée of Sifnos in Arades. 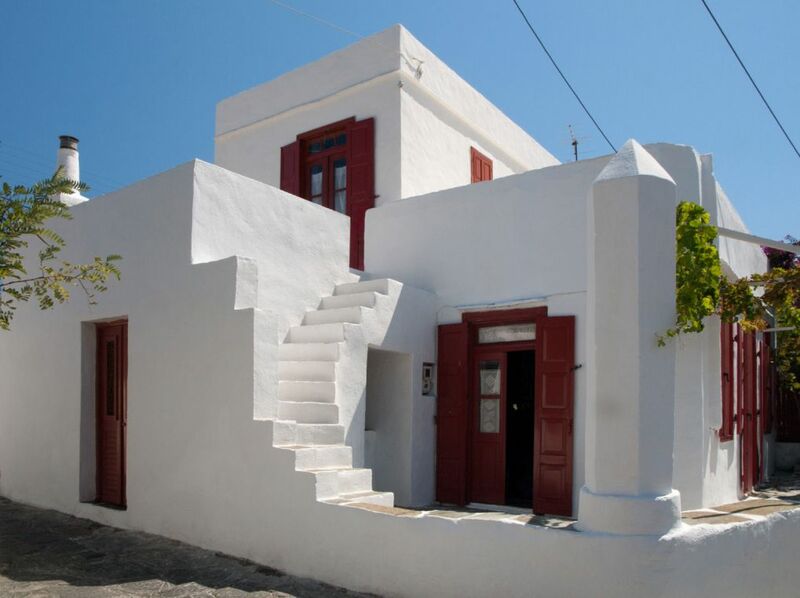 Exabela is also the birthplace of Nikolaos Tselementes, the great chef and writer of the first cookbook, the famous “Tselementes”. 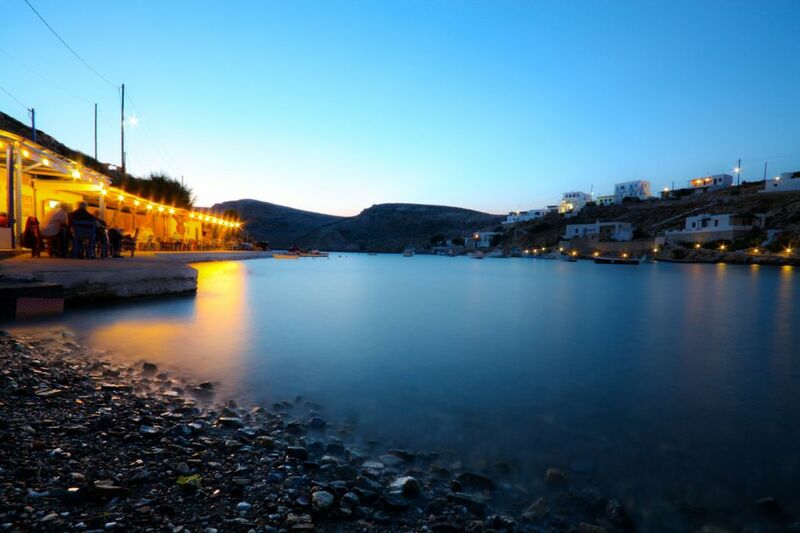 Its first edition was published in 1910 and many more editions followed ever since. 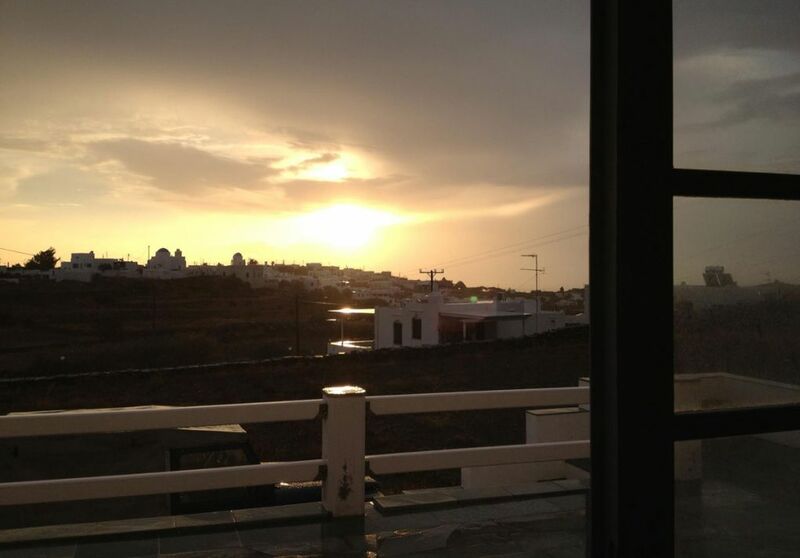 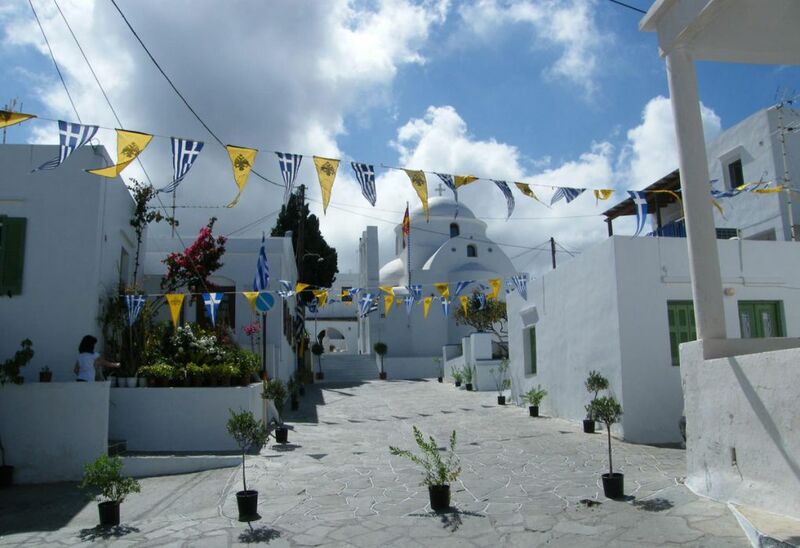 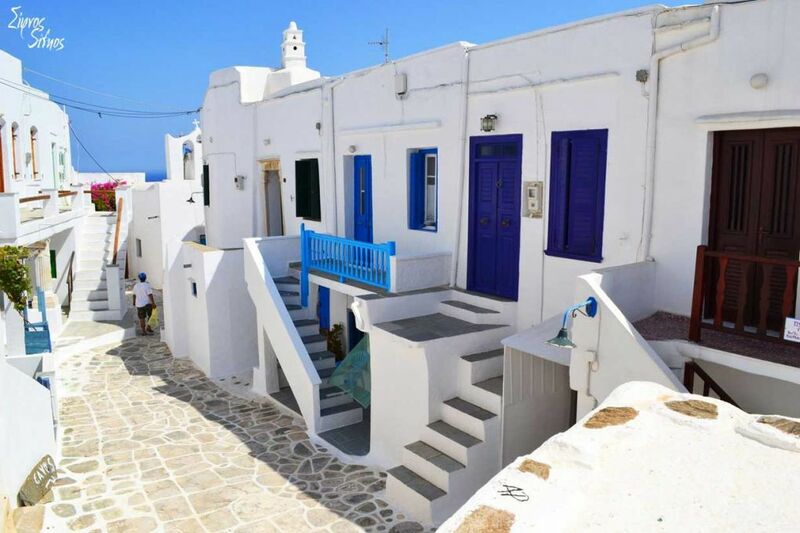 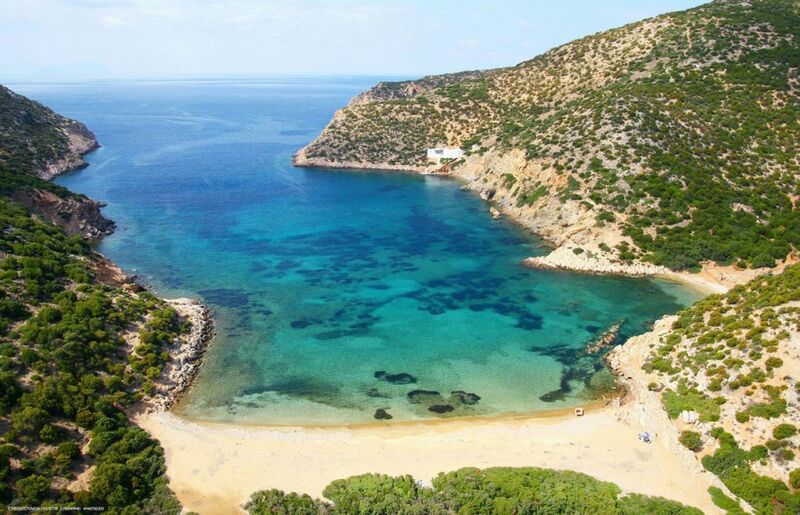 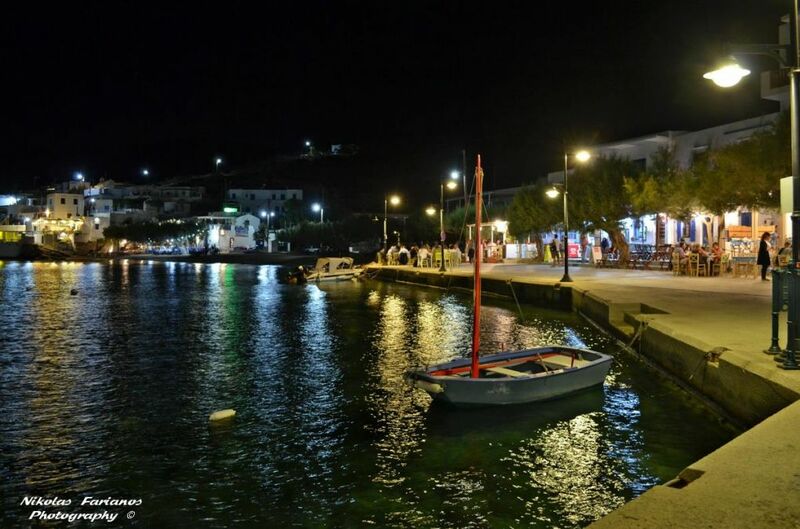 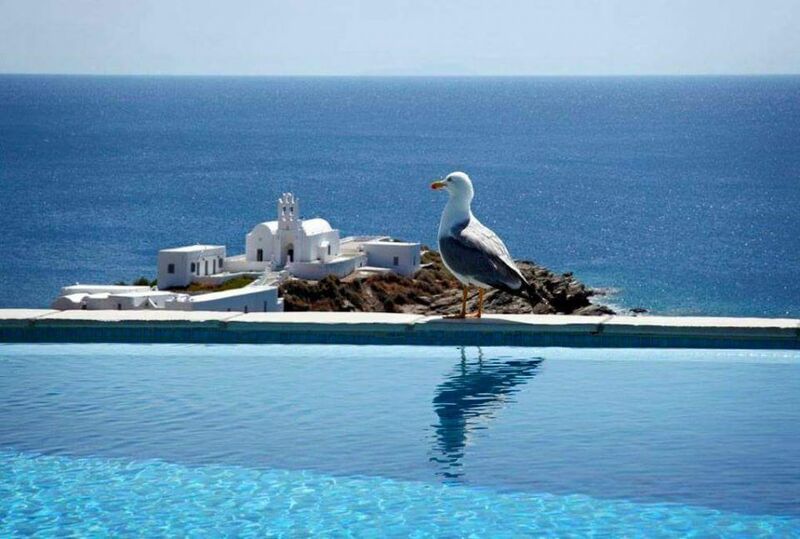 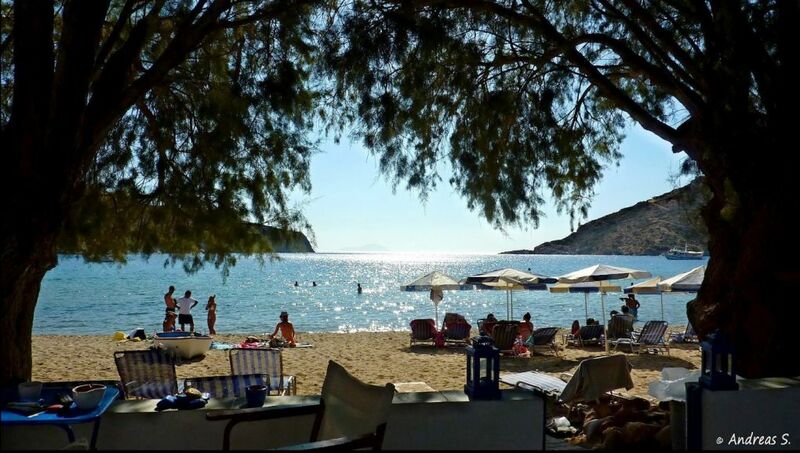 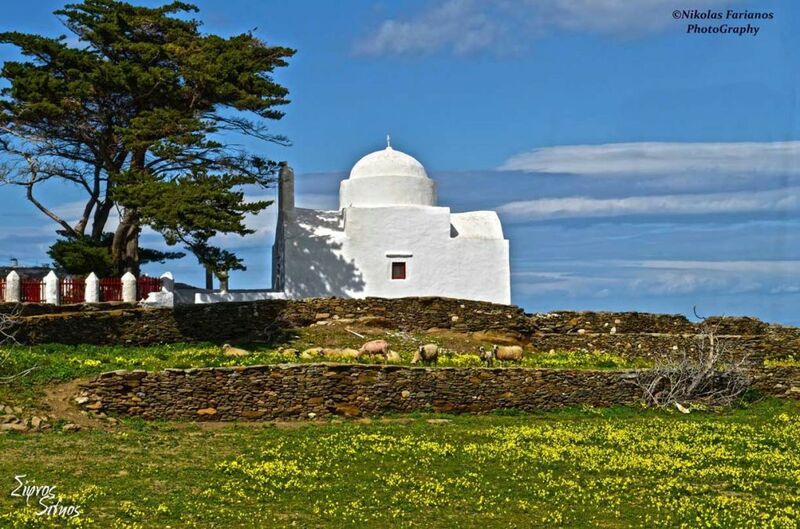 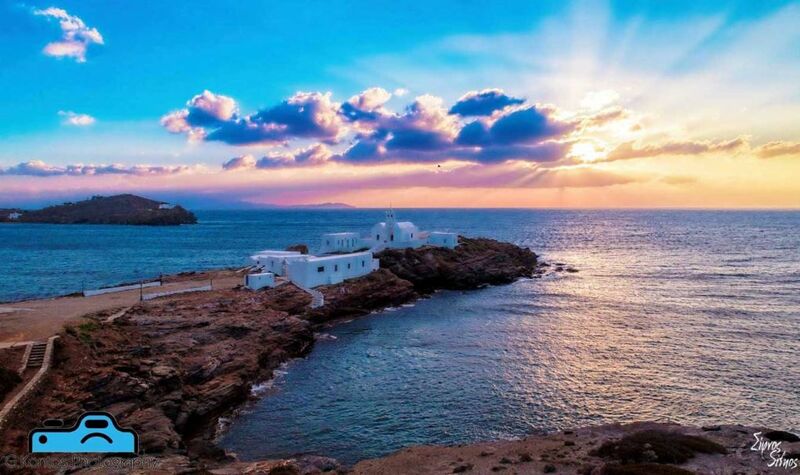 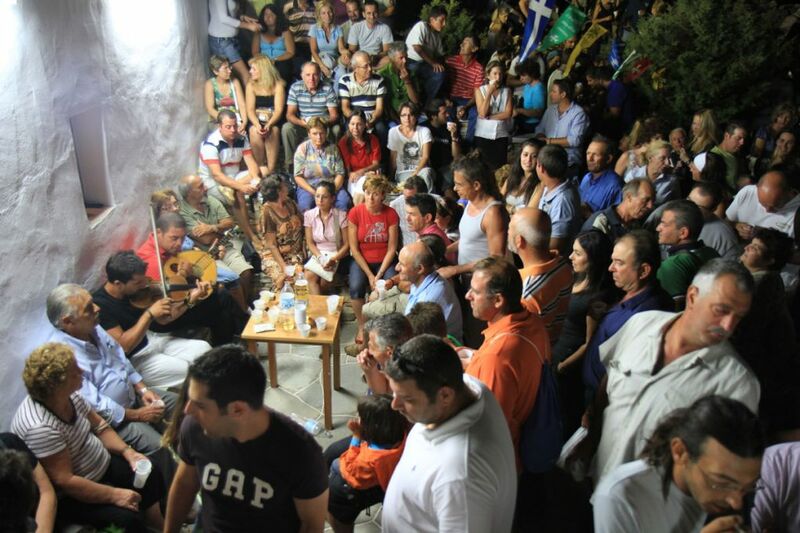 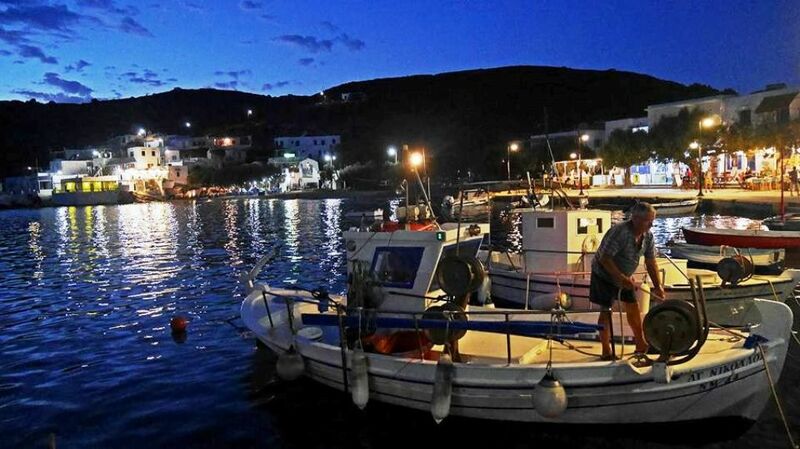 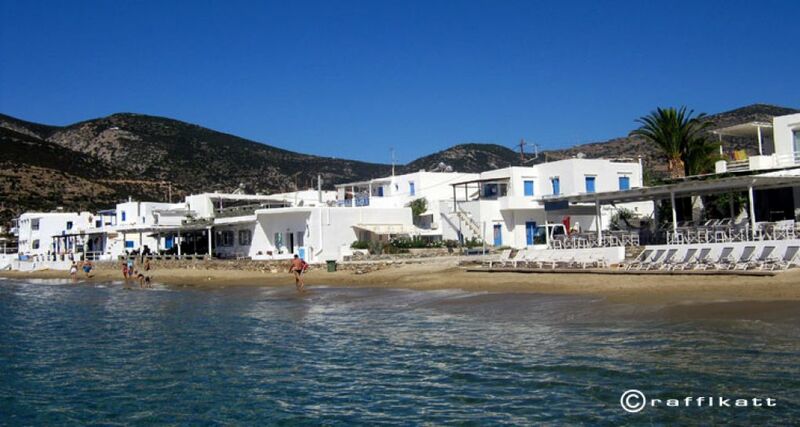 Exabela is also the native village of Kostas Markos, who followed in the footsteps of the great chef Tselementes, worked as head chef at the Royal Palace and published several cookbooks in the ΄60 («Modern Cooking, Pastry Making and Dietetics», «Greek Cuisine»). 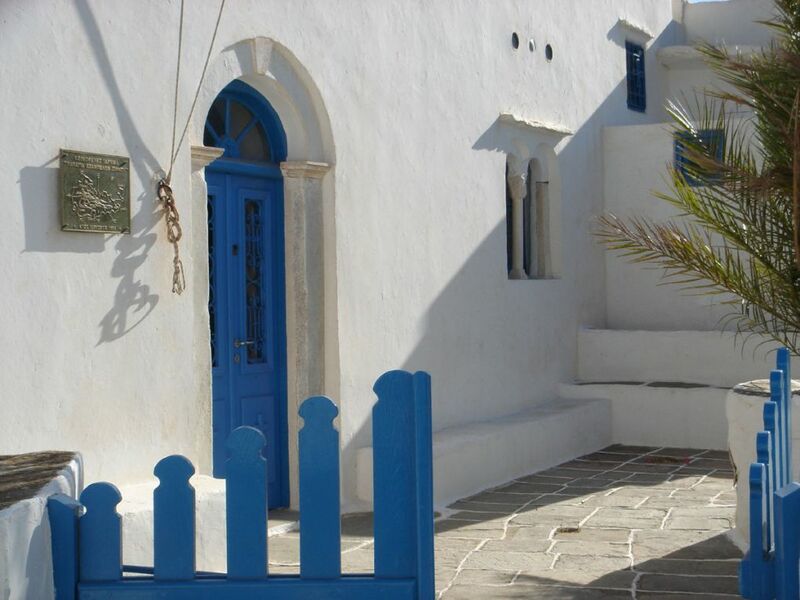 Exabela is also the birthplace of the professor and director of the Arsakeio, Georgios Vionis (1822-1898), of the icon painter Ioannis Maroulis (1792-1816), of his son, the painter Nikolaos Maroulis, of the Karellas family of the industrialists etc. 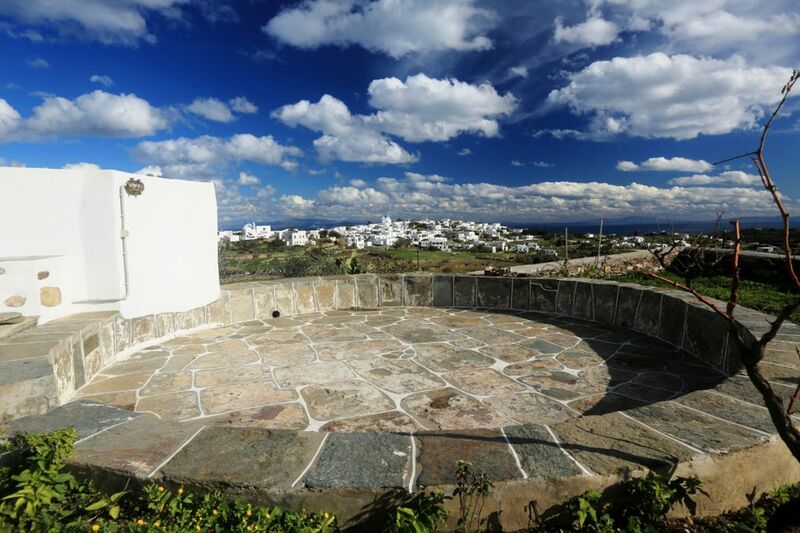 Among the sights of the village are the ancient beacon tower (6th century B.C.) 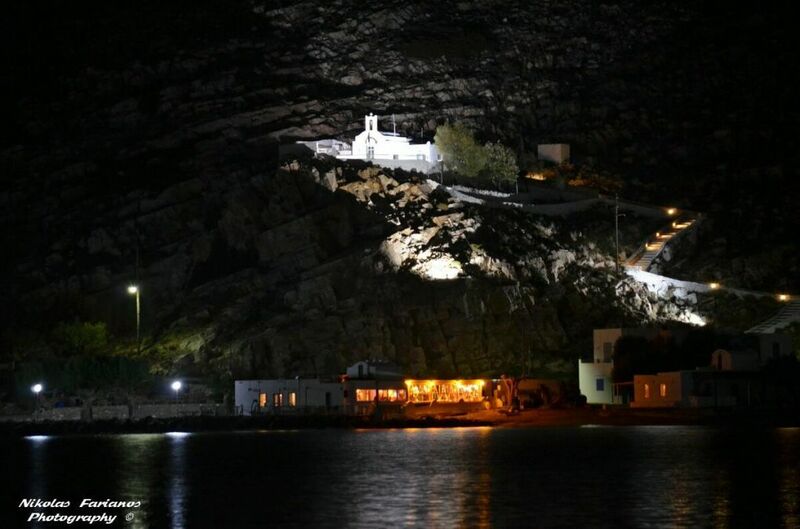 of Agios Dimitrios Archavos also known as the Black Tower (Mavros Pirgos) and to the south, the tower of Vrissi, near the monastery of the Virgin Mary of Vrissi (Panagia tis Vrissis or Vrissiani), which is worth visiting, because of its exceptional architecture and because it houses the Museum of Byzantine Art, with an important collection of manuscripts, icons and ecclesiastic items. 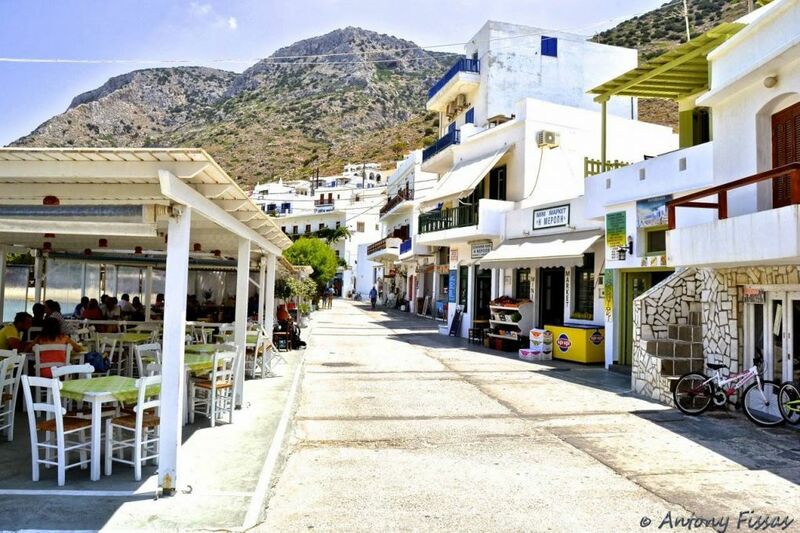 In Exabela there are groceries, one restaurant and a few rooms to let.